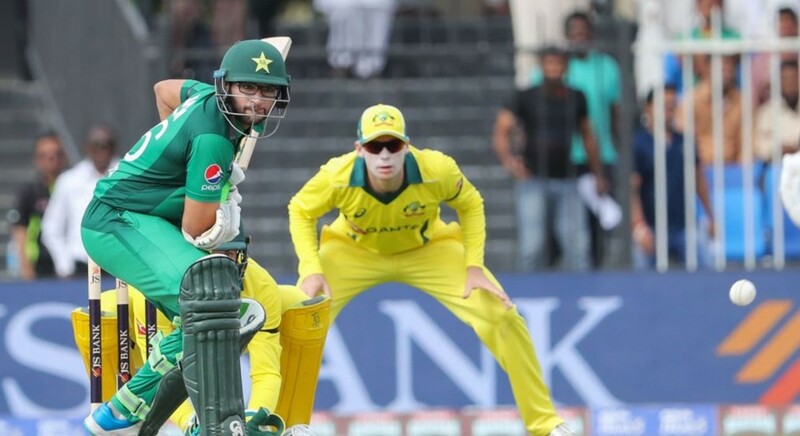 Pakistan have to bowl, bat and field well, which is pretty obvious if they have to beat Australia in the five-match ODI series currently happening in the UAE, but that’s not all. A closer look at the stats of Pakistan team’s performance in the UAE in the last three years reveals some interesting numbers and some of the factors are actually all down to luck. Pakistan have played 17 ODIs in the UAE in the last three years, if we mark the starting date as March 23, 2016, and they have won 11 and lost five of them while one ended without any result. Out of the 17 outings, Pakistan have won the toss on seven occasions and lost it on 10 instances, and the surprising thing is that their winning ratio is better when they’ve called for the wrong side of the coin. Out of the 10 matches when the Pakistan captain lost the toss, they’ve won eight matches and lost only two, while they’ve won three and lost as many when it comes to winning the toss, funny right? And where did the one match go? Well it ended without any result as mentioned before, after Pakistan won the toss. A deeper inquiry reveals that they’ve seen more success when Pakistan were asked to field first after losing the toss. Out of the eight such happenings, they won six of those matches and lost on only two occasions. This makes one question the opinion that Pakistanis are not good at chasing, at least in the UAE. More surprisingly, their record of losing the toss and being sent in to bat first is 100 per cent. On two occasions, their opposition sent them in to bat first and the toss winners ended up as the defeated side. And as far as winning the toss and batting first idea goes, they’ve lost three and won three out of the seven matches, not a bad track record but not good at all when compared the first two scenarios. It also helps us realise that it is about time we reconsider our approach of nearly always trying to defend targets since we have a ‘world class’ bowling attack. So what did Pakistan do wrong in the first ODI against Australia? Not just bowl, bat and field badly, but also do just what the stats didn’t order. Shoaib Malik won the toss, opted to bat first, and trusted his bowlers to defend the target, high or low doesn’t matter, since the batsmen can’t be trusted when it comes to chasing and voila! The perfect recipe for disaster was served. Numbers never lie and this was proven on Friday when Australia passed the finish line with eight wickets and six balls in hand. However, even after all the number crunching, the still unanswered question is, how does Pakistan lose the toss so that they can win the match?